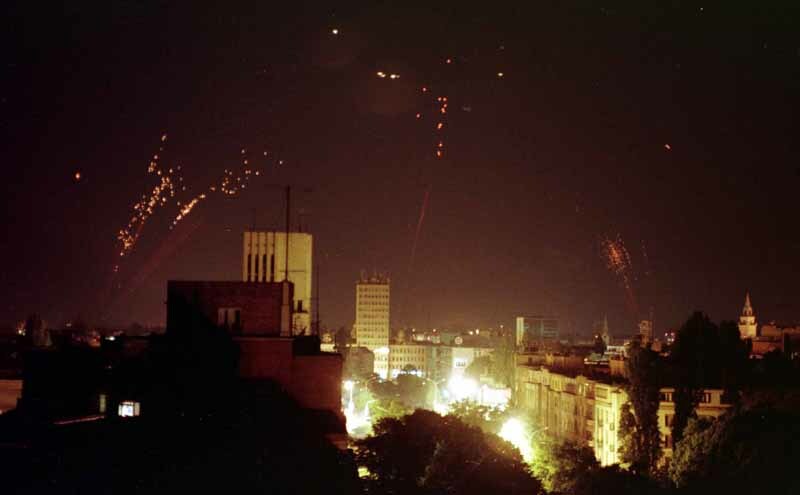 BELGRADE – Yesterday was the 20th anniversary of the beginning of the NATO air campaign against the Federal Republic of Yugoslavia (FRY) and the former regime of Slobodan Milošević. Nowadays, Serbia, Kosovo, and NATO member states continue to interpret these events in different ways, although everyone agrees that such things must not be repeated again. However, in spite of the good relations and cooperation that Serbia has with NATO, problems from the past that are related to 1999 are hindering deeper cooperation. Serbian President Aleksandar Vučić perceives the bombing as “aggression” and he specifies that “we should not be afraid to call things by their real name”. “I am sending a message that such things should never be repeated and that nowadays we need a good and decent relationship with NATO in order to prevent Serbia from getting into such a position again. But it is also important for us that we don’t forget the crimes that have been committed against our people and our children”, emphasized Vučić, who at the time of the bombing of the FRY was the minister of information in the Government of the Republic of Serbia. His position is supported by Ana Brnabić, the Prime Minister of Serbia. “No one should highlight the Serbian mistakes. We are aware that we made mistakes, but the bombing in 1999 was the fault of others, not the mistake of Serbian citizens who at the end of the 20th century were the victims of those with whom we fought for freedom and justice in two World Wars. For the future, it would be good for them to be aware of those mistakes”, said Ana Brnabić, at a conference dedicated to the 20th anniversary of the NATO bombing of the FRY. On the other hand, Aleksandar Vulin, Serbian Minister of Defense, stated that Serbia fought and defended from “terrorist attacks” and that it did not cause “NATO aggression”. “The time in which the Serbian people learned that the NATO aggression was actually provoked and that the Serbs themselves were guilty of all the evil that they had suffered, is now a thing of the past”, added Vulin. On the other hand, he pointed out that Serbia will remain military neutral and will not be a NATO member even if it becomes “the last country in Europe”, just because of the bombing. Montenegrin Prime Minister Duško Marković said on the occasion of the anniversary that “he remembers all innocent victims of the intervention”. “Montenegro did not want or led to the intervention of NATO in 1999. 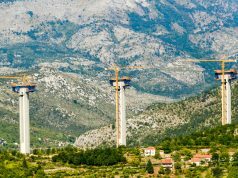 Montenegro was then part of another state and part of the system in which it did not have control over the events that surrounded it”, notes Marković. Officials from Kosovo have a totally different view of the bombing and see it in a positive light, as a part of the path for their independence. Thus, the Prime Minister of Kosovo, Ramush Haradinaj, who during the war was one of the leading commanders of the Kosovo Liberation Army (KLA), expressed his gratitude to NATO and the United States of America on the occasion of the anniversary of the bombing. “The NATO air campaign ended the tragedy of the Kosovo people, saved a lot of lives and enabled the return of the Kosovars to their homes. These people will be grateful for the rest of their lives to the USA that led NATO, and there is no better friend than the one who helps you in difficult times. 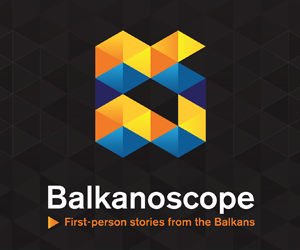 We didn’t have harder days and we didn’t have a harder time in our lives”, Haradinaj said. On the other hand, many officials of NATO and NATO member states believe that the bombing was justified and that the action was legitimate. In an interview for Prva TV, NATO Secretary-General Jens Stoltenberg said that “NATO tried to stop the violence and fighting which they saw in Kosovo and Serbia” and added that he is aware that these events and this topic are painful and sensitive in Serbia. Two years ago, Stoltenberg expressed regret over the loss of every citizen and his deep condolences to the families. “You have to bear in mind why we did it, and that is because we saw a humanitarian catastrophe taking place. We saw hundreds of thousands of people that were fleeing. We have seen violence against civilians and this is the reason why we reacted”, noted Stoltenberg. He believes that the NATO mission has helped to stop violence, provided humanitarian aid and prevented the humanitarian catastrophe. Stoltenberg added that since then, NATO has been present in Kosovo with the KFOR mission in order to protect the region, including Serb civilians. German Foreign Minister Heiko Maas believes that Germany had a “responsible approach” and that Berlin then noticed “a great violation of human rights and mass killings.” “I think that NATO’s action was right. I would not want to imagine what would’ve happened there if there was no intervention” Heiko Mass said in an interview for a German newspaper. What led to the 1999 air campaign? The campaign named “Operation Allied Force” lasted for 78 days and began on March 24, 1999. It was a follow up of the failed negotiations in Rambouillet in February 1999 and in Paris in March of the same year. All this was preceded by conflicts between the military and police forces of the FRY (mostly from Serbia) and the KLA. The operation was unique in many ways because it was the first major use of NATO’s armed force in its fifty-year history and the first time a force was used to implement the UN Security Council resolution without the approval of that same Council. This campaign is controversial in international relations precisely because the UN Security Council had not given its consent. At the time of the NATO bombing in 1999, NATO was composed of 19 members. Interestingly, on 12 March 1999 (only 12 days before the start of the bombing), the Czech Republic, Hungary and Poland became NATO members. So, this campaign was the first major test of membership in the Alliance. Current Czech President Miloš Zeman, then Prime Minister, was the one who voted in favor of the bombing. He said a few weeks ago that the entire campaign from the current point of view was wrong. “From a certain distance, I can tell you that was the mistake and to a certain extent an act of the power-based arrogance. The Czech Republic was the last member who voted for the bombing, and I unsympathetically remember that process of decision-making”, Zeman emphasized, adding that before the final decision, the Czech Republic sought support from other countries to resolve the dispute through diplomatic channels. On the other hand, speaking about the cause of the NATO bombing, Stoltenberg said that the UN Security Council has on several occasions described violations of human rights in Kosovo and an increasing number of refugees expelled from their homes as a threat to international peace and security. In a statement from 23 April 1999, NATO stressed that military actions are directed not at the Serb people but at the policies of the regime in Belgrade, which has repeatedly rejected all efforts to solve the crisis peacefully. ” In the same document it was stated that Slobodan Milošević must stop all military actions and immediately stop the violence and repression in Kosovo, withdraw all his military, police and paramilitary forces; to accept the stationing of an international presence in Kosovo, to accept the return of all refugees and displaced persons, to allow access to humanitarian organizations and to show the will to work on the creation of a political framework that will lead to an agreement based on Rambouillet accords. At the end of the same statement, NATO underlined that they would continue their operation until the Milošević regime accepts these demands. What was surprising for NATO officials was the duration of the operation because they expected that Milošević regime would crack after a “couple of days”. “NATO and some capitals of member states believed that after several air strikes, Milošević would give up and sit at a table,” said former NATO spokesperson Jamie Shay in an interview for the BBC in Serbian. However, this did not happen – the campaign lasted for 78 days before the Milošević regime gave away and agreed to sit down at the negotiation table. The campaign ended when the Military Technical Agreement was signed at the Kumanovo Airport (known as the Kumanovo Agreement) on June 9, 1999, by the General of Yugoslavian army Svetozar Marjanović and Police General Obrad Stevanović, and British General Michael Jackson who represented NATO. According to this agreement, hostility between the forces of the FRY and Serbia on one side and NATO on the other side was over. The military and police forces of the FRY have been obliged to withdraw from the territory of the Autonomous Province of Kosovo and Metohia within 11 days, and a land security zone between Kosovo and the rest of the FRY has also been established. Also, it was planned that the newly formed KFOR forces disarm the KLA members which was eventually done. A day after the signing of the agreement, the United Nations Security Council adopted Resolution 1244. Today’s marking of 20 years since the bombing has special weight, because NATO is expanding in the region. Thus, Montenegro, with which Serbia was in the federation in 1999, became a member in 2017. Furthermore, last year Allies expressed their readiness to accept the Annual National Programme of Bosnia and Herzegovina, while Kosovo expresses a strong desire to join NATO. Its unsettled status and the fact that four NATO countries do not recognize independence is breaking down the illusion that it can become a member in the near future. Finally, all 29 members signed the Accession Protocol with North Macedonia in February this year. However, today Serbia is one of NATO’s most important partners in the region. Cooperation between them is growing, which both the officials of Serbia and NATO emphasized on several occasions in recent years. 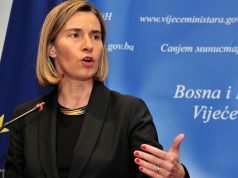 Furthermore, NATO officials have repeatedly stressed out that they respect the military neutrality of Serbia. However, relations are still marked by the consequences of the events in 1999. An illustration of a negative public opinion about NATO in Serbia is a recent survey which shows that 79% of Serbian citizens are against Serbia’s accession to the Alliance, while 64% would not accept NATO’s apology for the bombing in 1999. Citizens of Serbia believe that military-political and economic interests of the United States and the West are the main reasons for the bombing. Among all, one of the main problems is the number of displaced persons from Kosovo. In parallel with the withdrawal of military and police forces, the civilian Serb and non-Albanian population fled from the province due to uncertainty and fear of repression. Thus, the Government of Serbia estimated that about 242,381 inhabitants of Serbian and other non-Albanian nationals had been displaced from Kosovo. This, together with the lack of official estimation of the number of people killed as a result of the bombing, is a major problem for good relations because it allows manipulation of the cause of war and shifting the blame entirely on NATO. The relations with NATO are also controversial because of the use of depleted uranium, which public in Serbia connects with the increase of carcinogenic diseases among the population. The first link between disease and depleted uranium appeared shortly after the bombing, and for that reason, the North Atlantic Council on January 10, 2001, distributed all information and maps related to the use of depleted uranium and also established the Ad Hoc Committee for the Depleted Uranium, which included representatives from FRY. This committee concluded that “there is no scientific link between depleted uranium and health”. On the other hand, in 2018 the Serbian government established a Commission to investigate the consequences of NATO bombing in 1999. The Commission, in cooperation with the Belgrade Public Health Institute, a few days ago published a study among the Serbian children (because the smoking factor is excluded). 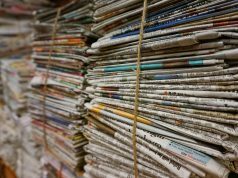 The study shows that children born between 1999 and 2015 were exposed to a certain toxic factor that caused them to be prone to malignant diseases. Although the results do not explicitly mention uranium as that factor, the Serbian public and media are linking it with it. Previous articleEPP finally does something about Orban. Should his Balkan allies be worried?